I am always searching for new ways to reinvent chicken dinners. 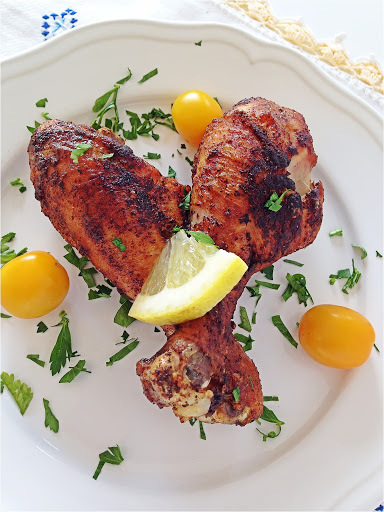 I ran across a recipe for berbere chicken years ago and I have been making it ever since. The recipe I originally had for berbere had spices that are not available here in the states so I made some adjustments and came up with this blend of spices. Berbere is an Moroccan/Ethiopian spice blend. The list of spices for this blend is pretty long, but every spice adds to the flavor profile of this dish, and the final result is a flavor explosion in your mouth after every bite. I love making this Berbere spice blend because my house always smells amazing after doing it. The smell certainly gets me excited about the dinner to come. Most of the work for this dish involves toasting the spices. So if you can do this ahead of time, then half the work of making this dish is done. I throw all the spices in a dry cast iron skillet and let the magic that comes from toasting spices occur. After I toast the spices, I put them in a spice grinder. If you’re using all powdered spices, then you can skip this step. But I wouldn’t, even when I use powdered spices, I throw them in my spice grinder. I find that doing so really opens up the flavors of the spices even more. The recipe for the spice blend makes enough for several batches of Berbere chicken. Just store any unused berbere spice in an air tight container for up to 3 months. This dish is full of flavor and pairs well with roasted veggies of any kind. Preheat the oven to 375F. 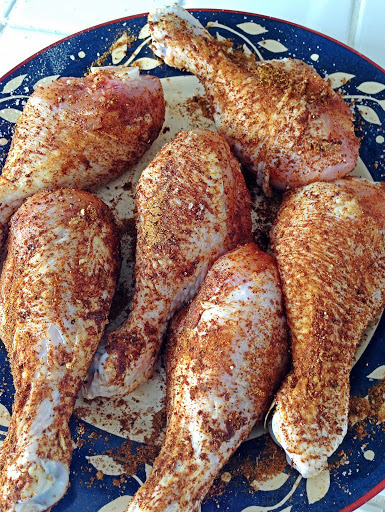 Generously season chicken legs with sea salt , then sprinkle with Berbere spice and pat the mixture in. 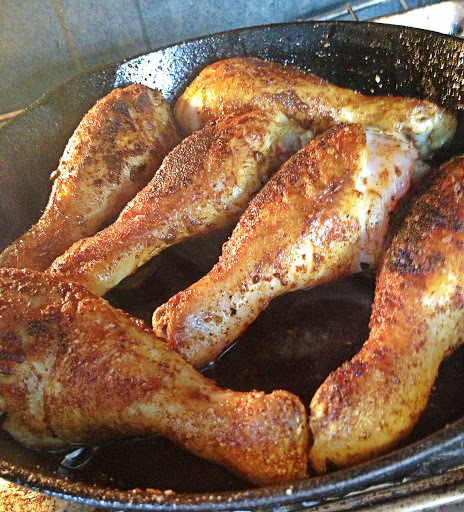 Heat the oil in a cast iron skillet, add the chicken legs and brown without disturbing 3-4 minutes on each side. Transfer the skillet with the browned legs to the oven. Let cook until chicken has cooked through entirely about 10-15 minutes. Remove from oven and serve with lemon slices.